‘Gary … The images you have captured & your video presentation has turned our simple little event into a fairytale. It is like something you would see in a magazine with models. You captured so many various emotions and aspects of our special day and put them into an absolutely spectacular backdrop. Actually, many different spectacular backdrops. When we arrived home last night we were buggered but we played the video on our big screen television continuously about 6-8 times without stopping. We both had tears rolling down our face and all we said was “love that one” “that’s beautiful” “that’s like a model” “wow, how special is that” “what beautiful memories”. The Byron coastline and hinterland is such a magic location to work even more for Byron Bay Wedding Photos. I am humbled by the immense pleasure I get from shooting weddings and elopements consequently to do the majority in such a beautiful spot is just gold. Because I treat the recording and telling each wedding story in pictures as critical, I do the shoot with an easygoing fun attitude to ensure that the vibe is upbeat. First of all, everyone feels a sense of appreciation with the picturesque natural scenery and the idyllic climate and even more when the results are so stunning. 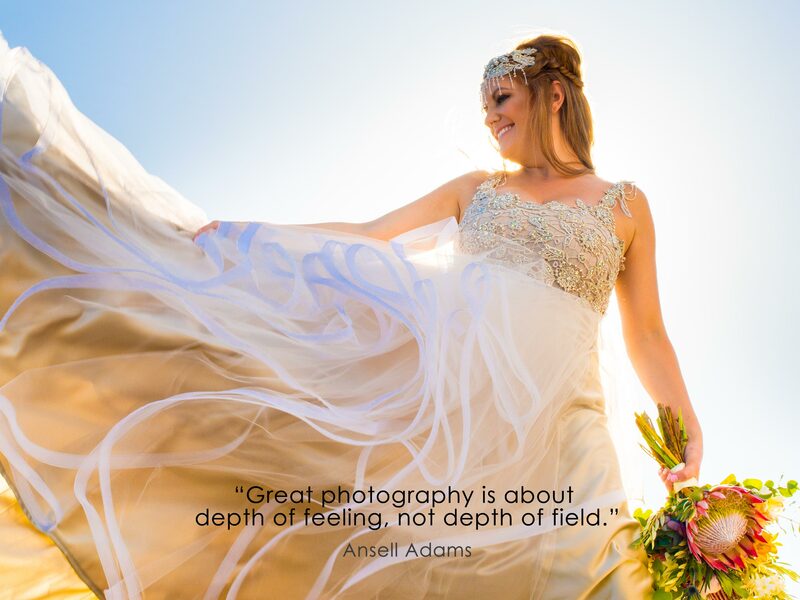 Call to discuss how I can make your Byron Bay wedding photos experience mean the world to you. I love it when Brides and Grooms say that they felt so at ease and therefore hardly noticed I was there. To get those candid Byron Bay wedding photos, the photographer has to make themselves scarce. Nothing looks natural if the subject is wary. To make sure I get the best result, I focus on finding out what couples have in mind. I want to achieve their dream, not mine. Every picture choice is personal for the reason that I feel I shouldn’t tell anyone else what they will like. Furthermore the reason I provide so many images is so that couples then can make their own choices. The story of your wedding day is your personal treasure trove. I provide at least two versions of each image according to your choice (e.g. raw colour, black & white, sepia, etc.) 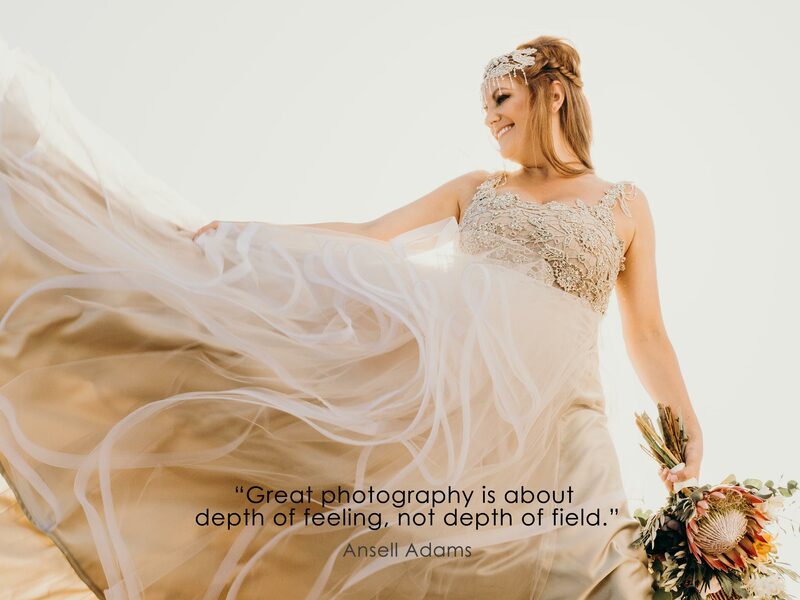 for the reason that you really have a great experience with your Byron Bay wedding photos when you select your own favorites. And did I mention the Byron Hinterland? So often there is a new venue or a lane way that is waiting to be discovered. There are the quaint villages of Bangalow, Federal, Eureka, The Channon, Newrybar, Binna Burra, Eltham, Clunes and many more within a stone’s throw. For your precious Byron Bay wedding photos, this is gold. Every location a gem! But are you ready to take the lead in your very own show? To do justice to your Byron Bay wedding photos, I need to ensure you are at ease and chilled. This is your day for enjoyment. An occasion to take time out and take pleasure in everything that is going on around you. We are about recording those special moments, the emotions, the energy and the joy. The stars of the show have to be real people having a really fun time. Whether it’s the wedding party looking to party or just the two of you, we will capture this once off day of your life. The day you and your partner want to remember. Of course you will want to relive each moment. The saying ‘Beauty is in the eye of the beholder’ is an understatement. If I show two people some of my Byron Bay wedding photos and asked them to rate the shots, they will rarely agree. Some like arty effects, some like formality, some like dark moody images, some love the pastel cottage look. Then there are the photographic tricks we use such as utilising extreme depths of field. We can increase aperture to reduce focus to a short range or we can slow down shutter speed to see movement. Then there is time lapse or distortion with wide angle or telephoto lenses. On top of that, the beauty of a digital image is that it can be modified using Photoshop to something totally different. First of all, it is OK to be fussy. I say it should be more than OK for the reason that you are paying someone to record your wedding day. It should be law. Your Byron Bay wedding photos must be just what you had in mind. Above all, these wedding photos are for YOU to enjoy. Furthermore, it doesn’t matter what anyone else likes. They can have their say when they get married. The great advantage with Byron Bay wedding photos is that there are so many magic locations to choose from. Beaches, headlands, rivers, waterfalls, streams, mountains, rain forest, gardens and plantations. Likewise, there are so many novel streetscapes around Ballina, Byron Bay, Ewingsdale, Bangalow, Lennox Head – the list goes on. No wonder there are more than 1000 weddings and elopements in Byron Bay every year! My aim is to echo the way you are, the way you live and the way you love. Connect and feel comfortable on YOUR level with your Photographer. This connection is vital to building rapport with the two of you. When everyone talks about your wedding in years to come, the way your Photographer engages and bonds will always be remembered. If you don’t connect, keep looking for another Byron Bay Wedding Photographer!